(PLEASE NOTE: SELF MANAGED SUPERFUNDS)Sensational opportunity for the savvy investor to purchase one of these amazing, brand new commercial units off the plan. 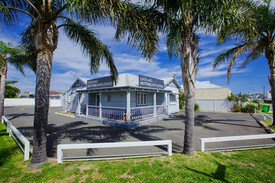 Perfectly located in the heart of Treendale and Dalyellup, close to new Shopping Centres and sought after amenities, easily accessed off main arterial roads. Fantastic 5 year by 5 year lease with magnificent 6.5% return. Treendale Commercial Centre:Unit 2 is 160sqm with an annual lease of $52,000 per annum. From $800,000Unit 4 is 75sqm with an annual lease of $26,250 per annum. Price From $405,000Unit 5 is 75sqm with an annual lease of $26,250 per annum. Price From $405,000Unit 7 and amp; 8 are 235sqm with an annual lease of $75,000 per annum. Price From $1,160,000Dalyellup Commercial CentreUnit 1 is $150sqm with an annual lease of $52,500 per annum. Price From $810,000Opportunity of a lifetime!Call Mal Hancock for more information. 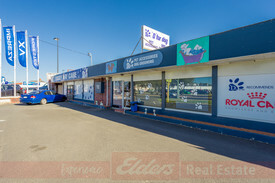 Central Business Commerci.. Price: Offer Over $360,000 (if a..
LARGE COMMERCIAL PREMISES.. Price: Offers Over $650,000 + GS..
7.0% Return 5.4 Year WALE.. Price: $3,200,000 GST Going Conc..
Great location... Price: Offers from $650,000 + GS..
Central Location, Plant Y.. Price: Offers Over $520,000 Plus..